The 250ml Sultan Premium Dokha originates from Fujairah in the UAE, a blend direct from the local farms. If you like a smooth medium blend, you will like this for it’s natural flavour but watch out, it’s good. 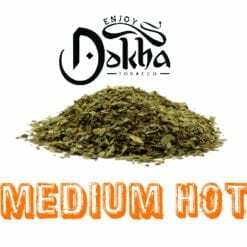 The 250ml Sultan Premium Dokha is famously finely chopped and when smoked consistently offers a smooth big buzz. 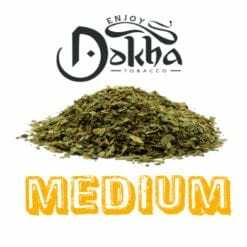 Our customers smoke Dokha for a true smoking experience, the Sultan Dokha will not disappoint you for taste and experience. 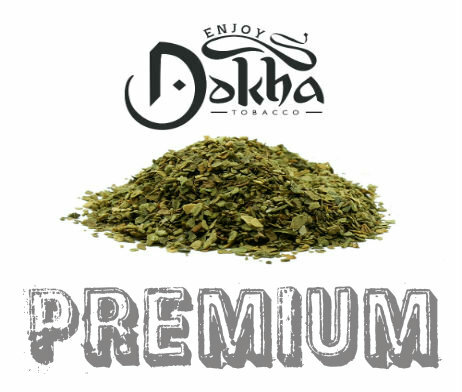 The 250ml Sultan Premium Dokha is a smooth Medium Dokha tobacco with a big buzz.